Virtual Reality, Streaming Video, Mobile Apps, Fitness/Health sessions - these are all hot trends at events and can make one event stand out among the rest. But how do you integrate them into an event that is working on a tight budget and even tighter resources. The answer? Sponsorship. Beyond developing new ways to get attendees and sponsors to interact, like one-on-one meetings and speaking slots, look for other ways to get sponsor brands in front of attendees beyond signage and printed programs. There are likely many elements you have been thinking about adding to your event - mobile apps, healthy/green choices, new social and digital channels. Cross reference your potential sponsor list to see if there's a match. Is there a mobile company who can build a mobile app for you in exchange for branding on the app? Is there a company willing to donate reusable water bottles with their logo on it to use at the event? Could someone underwrite the video stream in exchange for their brand being part of that stream? Seeing sponsor technology and expertise in action through these logistical show elements builds a deeper understanding of what the sponsor company can do and what they stand for. A sponsor package could include an agreement to facilitate a certain number of one-on-one meetings or introductions. In addition to being a low-cost option, the event planner has the added benefit of extra contact with key attendees on behalf of the sponsors and this option can make a big impact for smaller companies looking to build their network. Consider social media as a sponsor perk. Offer a certain number of social posts from the show about the sponsor's presence at the event as a stand-alone sponsor package. Increased exposure for the sponsor and more content for the show's feeds. 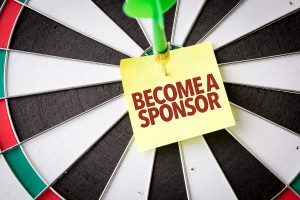 We'd love to hear your thoughts on how to broaden the scope of your event by broadening the types of sponsorships offered. Let us know your thoughts and experiences in the comments. This entry was posted in Event News Articles and tagged event planning, Mobile, Social, sponsorship, virtual reality, wellness by Kerry Rea President of GovEvents. Bookmark the permalink.